Godaddy and WordPress combination is well for novice bloggers. Godaddy Hosting is perfect to run any kinda wordpress blogs but its somewhat hard to setup. DesignSkew is now moved to Godaddy’s hosting and since Godaddy don’t provide Cpanel to its hosting users, its somewhat problematic for beginner users to get started. If you are unknown of the power and capabilities of wordpress as a blogging platform, I would like to tell you that WordPress is the most popular platform and is capable of serving any kind of website ideas. Before Getting Started, these are things I am considering you already have, Godaddy hosting (any plan would do), an already bought domain name and little bit of brain, experience and patience. Please also note that, for every process you perform in Godaddy hosting, it takes much time to execute the process, like creating databases, changing passwords, creating redirects. So, don’t be in hurry, if you follow this guide, you would definitely get wordpress on your blog hosted on godaddy hosting. Although they say 30 minutes, but after you buy Godaddy hosting, they will take about 24 hours to setup your account. 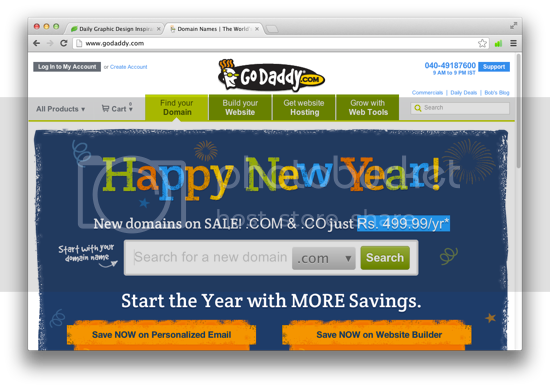 Once your account gets done, you will get a mail from Godaddy, containing the information alongwith your Name Servers. First step you need to do is, copy the name-server addresses and update the name-servers from wherever you registered your domain name. The second step is to launch your Godaddy hosting dashboard and create a database, you need to put a name common for your database name and the user name for the database and database password. After you put all the credentials, you will get your database created after some time. You now need to see the Full details of the database just created and login to your Database to note the “Server Address“. This server address will act as hostname during WordPress Installation time. 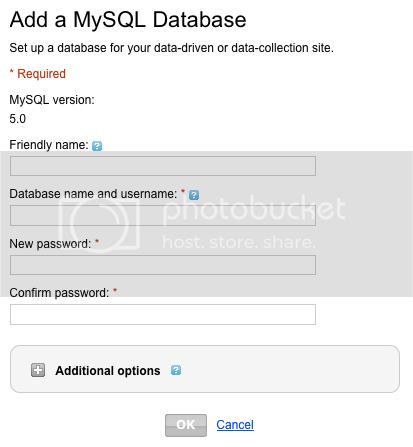 Open phpmyadmin panel of your database using the database username and password, and note the Server Address. Now you are almost done, and the left part is called famous 5 minutes wordpress installation. Download latest version of WordPress from the official site and extract it on the top level directory using your FTP account. Once uploaded, open “yourdomain.com” and you will see a WordPress splash screen guiding you to setup WordPress. On the next page, you will be asked for Database Name, Database Username, Database Password and the host name. Enter the Database Name, Username and Password which is the same you entered while creating the database. And in the hostname, enter the Server Address you noted down after logging in the phpmyadmin. After entering all the details, click the button and you are done setting up wordpress on godaddy hosting.